I’m being selfish this week. 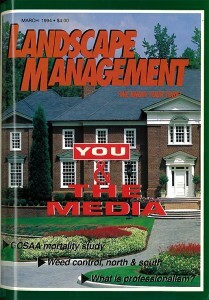 The March 1992 issue of Landscape Management caught my eye with the use of one word: Media. That’s me. And, as the media, it’s my job to be nosy. 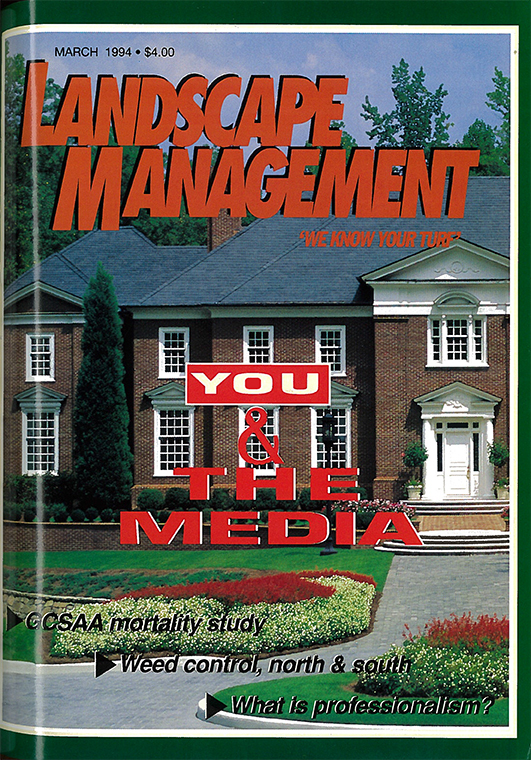 As I paged through the cover story, titled “You and the media,” I couldn’t conceive a better evergreen piece to share as we’re on the brink of a new year, coming up with fresh content to provide in 2014 and new sources to contact to bring it to life. The story ran as a two-parter. Snippets of the first, titled “Professional journalists are not out to ‘get’ you” by John Calsin, then a freelancer with LM, struck a negative chord with me. We’re not tenacious, cruel or vicious. We’re storytellers. And we’re the good-intentioned voice that can get your story out or tell the stories of others you’d like to hear. The second part, by Greg Petry, then president of the Sports Turf Managers Association and superintendent of parks for the Waukegan (Ill.) Park District, and Renae Waier, then marketing and community relations coordinator for the Waukegan Park District, laid out a list of dos and don’ts—primarily for media relations employees—to follow when dealing with the media. Keep a folder of positive things to discuss. Most of the tips listed here are solid. But, as an editor, I can’t go without making one tweak. To the “do” list, I’d add “be trustful” of the media. To me, it’s a privilege when people are willing to speak with me for a story. Those people are setting aside time in their schedule to talk to someone they don’t know and trusting them to get right what they say. That’s one of the most feared things and awful feeling as journalist, getting it wrong—no matter how small the error. To that end, thank you to every reader who has granted me the privilege of picking your thoughts and retelling them on paper. In the coming year, I truly look forward to listening to and telling more stories from all of you.